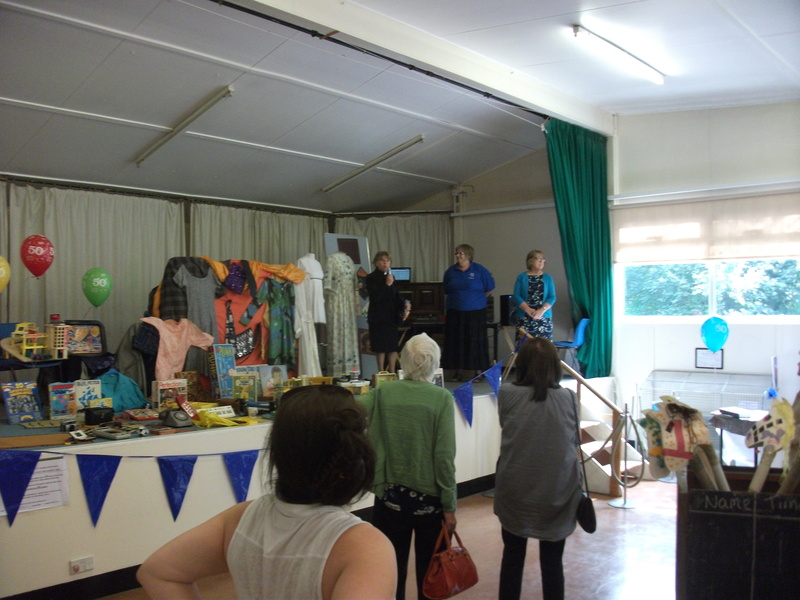 On Sunday 7th September 2014, the Pre School held a fair at St Peters Church Hall to mark the 50th anniversary of the start of the playgroup. 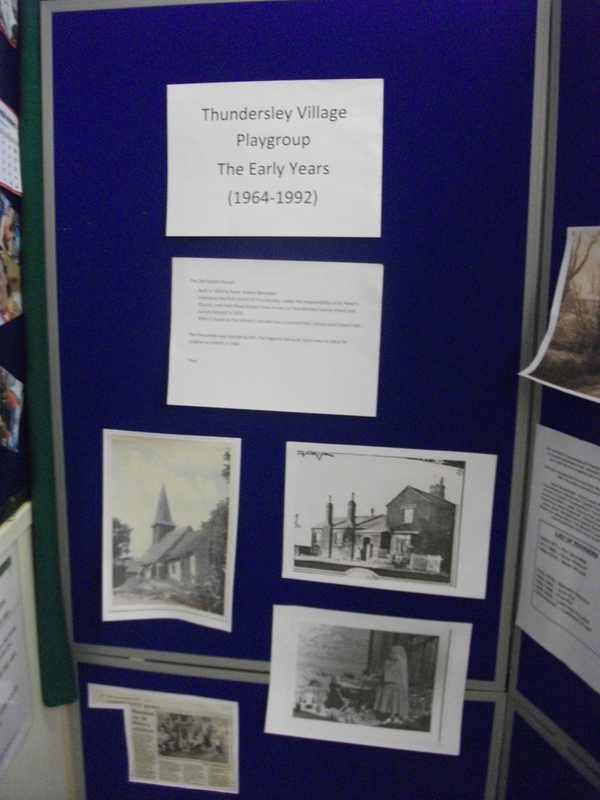 It was started in 1964 by Pat Ingram as the Village Playgroup near Kenneth Road in the Old School Building, Church Road (that used to be opposite Thundersley Clinic). 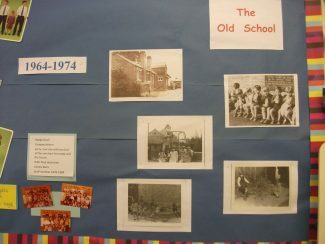 The group, managed by Lorraine Stamp, is still going strong and now has 38 youngsters aged between two-and-a-half and five. 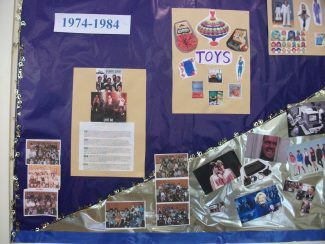 The celebration contained lots for the current and recent children with a bouncy castle, face painting and some competitions. The usual tombola and raffle were held to raise funds and an extra donation cheque was passed over that will go to helping improve even further the preschool’s outdoor area. 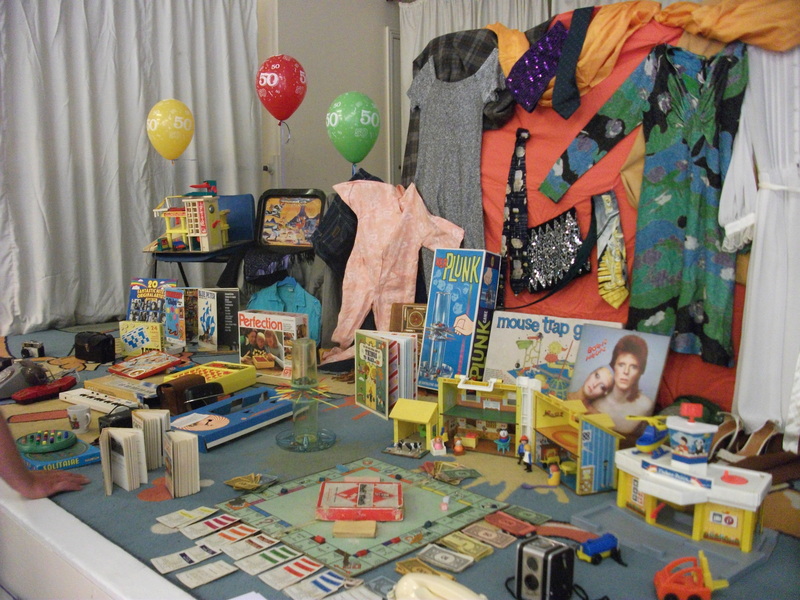 One display, on the stage, which attracted a lot of attention was all the clothes, toys and games from the 1960s. 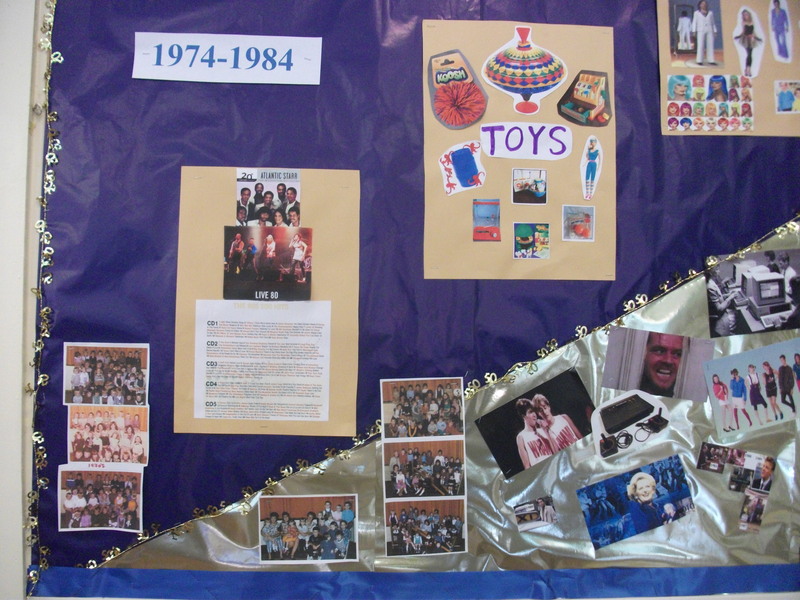 There were various displays of pictures and information from the group over the five decades, mostly supplied by many of those who have worked there for many years. Before the event there was a plea in the local press to find the original organisers so that as much as possible of the early history could be retraced. I hope that this article may also prompt some of the older photos and stories to be submitted for publication on the Hadleigh & Thundersley Community Archive, both as individual comments and an article providing a fuller history of the pre school.